We are pleased to offer you the opportunity to view and place job listings on Fiberbroadband.org. Whether you are just starting your job search, or are in need of filling positions within your company, you will find what you need through the Fiber Broadband Association’s Fiber Job Zone. You will need to create an employer account so that your postings can be properly managed. Choose the posting period you want – either 30 or 60 days. If you are a member of Fiber Broadband Association, click the choices for members, to receive member pricing. If you are not a member of Fiber Broadband Association, click the non-member choices. All postings are reviewed by our Membership Specialist before going live, to ensure accuracy. Enjoy our Introductory Rate of just $99 for Members and $199 for Non-members! You can post anonymous or not anonymous. Enter your job description, requirements, location and contact information. You can choose to allow online applications, which allows job seekers to apply through the Fiber Job Zone. The applications will be stored in your account, and you can list and send people within your organization the applications with a click of a button. Job seekers will not be able to see any of this information. c. Create a Company Profile complete with your logo, so applicants can learn more. d. Create Templates for letters, postings and applicant filters. Find the perfect job for you by searching on function, industry and/or state. Create a free account and upload your resume, or use our free resume builder to create your resume online. Store cover letter templates for repeat use. Create Job Alerts using key words, function, industry or location and be instantly alerted to a new posting. Click on Resources to access some of the top advice on interviewing, resume or cover letters. If you require further assistance with the Fiber Job Zone, please call our third party Job Board provider at 860-437-5700 or email customer service. 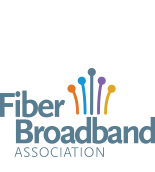 For all other questions, or to find out how to become a member of the Fiber Broadband Association, feel free to contact membership@fiberbroadband.org.